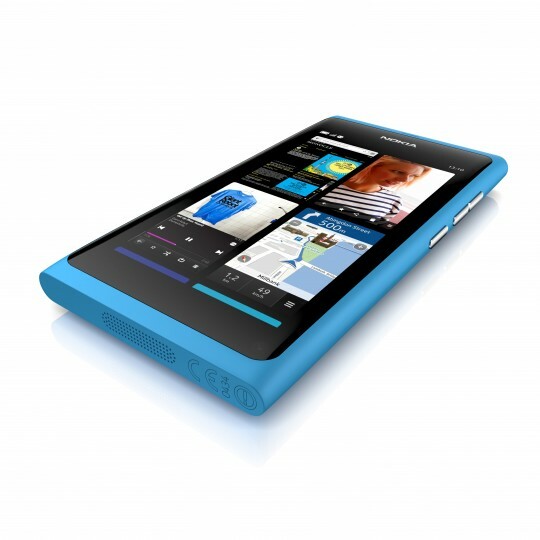 Engadget – Nokia N9 is fantastic! “Nokia has really nailed it in terms of hardware and software” This is IT, like NOTHING comes close to this. Ever since the Nokia N9 was launched last Tuesday, one of the most surprising crusaders for the wonderfulness that Nokia has achieved has been Engadget. In particular, engadget’s Vlad Savov. Now, we’ve been very sensitive to their criticism on Nokia, mostly on Symbian devices with anything Symbian receiving immediate dismissal. We all know how fantastic Symbian is for features, but the overall UI degrades the user experience, preventing users from engaging with the features as they’re lost in mazes of menus. Now that shroud is lifted as this is MeeGo-Harmattan. And there’s so much love poured out for it. And it isn’t just because there’s no Symbian to be annoyed with, they feel in both hardware and software that Nokia has nailed it. Listen to the engadget podcast here. Here’s some of the things they talked about. All the Nokia stuff has scored a whopping 35 minutes of Engadget podcast time that we might talk about again at another time. For now, here’s their reactions again to the Nokia N9. 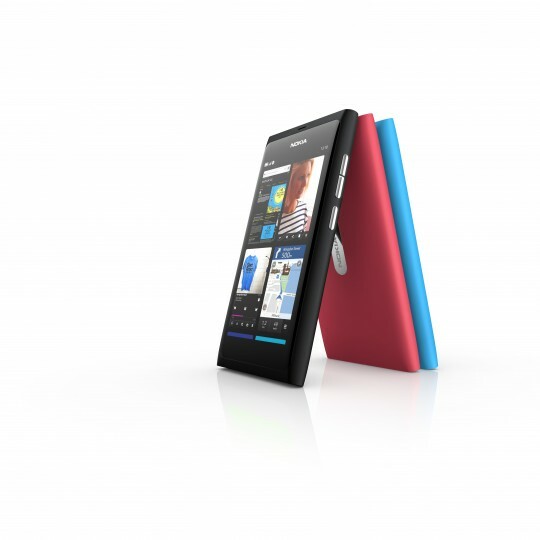 Vlad – N9 – how surprising, it is Nokia’s MeeGo phone. It was supposed to be the big one, and it turned out to be the big one. Often the end result is not as good as the promise. Myriam – we agree – it’s mind blogglingly deliciously awesome. Vlad – Good things are numerous – physical design is excellent, but superior to N8 (already a very well designed phone). Myriam – I don’t think you’re doing it justice there Vlad. This is the MOTHER of all phones. This is the design of the gods. This is IT, like NOTHING comes close to this. This blows everybody’s minds out of the universe. NOW that is an intro for the N9. Vlad – Polycarbonate – plastic – but still feels a cut above those plastic phones. Vlad – There’s pink for girls, blue for boys and a black for classy people. The black one blows the other two out of the water. It is so slick and sophisticated, it is just so beautiful. Like honestly if you put a Vertu branding on it, I would be like, ‘finally, Vertu has a phone worthy of those 10,000USD price tags’. It is fantastic, the black one. Vlad – Thinking about this now, Nokia should totally do this. Don’t call it N9, call it Vertu MeeGo phone s Vertu owners don’t expect an ecosystem, just a kickass, sophisticated, stylish phone and this is exactly whta the N9 is. It’s extremely beautiful to look at and shockingly because Nokia hasn’t done this in years, once you turn it on, it’s STILL beautiful to look at, it’s still awesome, you still want to touch it and use it. Vlad -The way Nokia’s put it together, it’s interface – and this is specific to Nokia – this isn’t the MeeGo interface, this is Nokia’s Harmattan UI on top of MeeGo. It’s fantastic and the responsiveness is fantastic and it’s just a pleasure to use. I really want to go back to Nokia’s offices and pick up a couple of these phones so I can play with them, and it’s so rare. Myriam: Vlad is Jaded guys, if he’s excited about stuff, this has got to be good. Vlad -General point – Nokia has really nailed it in terms of hardware and software. Vlad – I need to say this – the AMOLED screen on this phone is just GORGEOUS. Gorilla glass screen and it’s curved, it melts of meets the physical bits is beautiful, if feels fantastic when you’re holding it and touching it and the itnerface plays right into that because it’s all black and you have the menus – the animation of the menus make them look like they’re popping out at you. Myriam – so what you’re saying is that looking at this phone’s screen is like looking into the eyes of God? Vlad – Yes, pretty much. Myriam – yes that’s what I thought. Vlad – I think that’s understating it a little bit but I’ll go with that. Myriam – I am very excited about this, you have to understand, I’ve been a really long time Nokia fangirl, and frankly, you know I’ve been clinging onto this fangirl thing for a long time but really pissed at the same time at the stupid things Nokia’s doing, WP stuff has given me hope but I’ve always known that Maemo/MeeGo/Harmattan all that stuff, has shown a lot of promise. Myriam – Seeing finally reach a stage where it’s compelling as a user experience has really got me excited on top of that really lovely hardware. Vlad – N9 could be one of the top choices for smartphones if it does everything else as well as it seems to do it. Like I say, it takes time. We haven’t reviewed it but it seems to promise to do things brilliantly, like the basic fundamental things. If it does those well, we could probably get over the fact that it might not have the added value applications. That could be overlooked. Next subject is on dropping MeeGo. But that’s another post. I love the N9, I love that Nokia has come back to show their prowess again in hardware. I’m in a bit of a shock at all the positivity Nokia’s finally receiving. After waiting so long as the underdog, the N9 that we had expected to save Nokia (and then didn’t after the 2-11 news) is getting reactions from a phone that should have that potential. There were key important things Nokia needed, they focused on optimized design which it seems has overcompensated for any ‘lack of 12mp n8 camera with xenon” and other hardware absesnces present in the N8. It does the main job of having something first and foremost, attractive to the masses and functioning smoothly as expected. It seems it is this design that will be used in ‘other Nokia handsets’ which will give them at least than immediate positive vibe to counter the love-it-or-hate-it Marmite OS it will soon ship with. Here’s hoping that we do eventually get a Nokia that pushes the boat out everywhere whilst still remaining aesthetically pleasing. Is it too much of me to still want a great smartphone experience AND the multimedia capabilities of the Nokia N8?